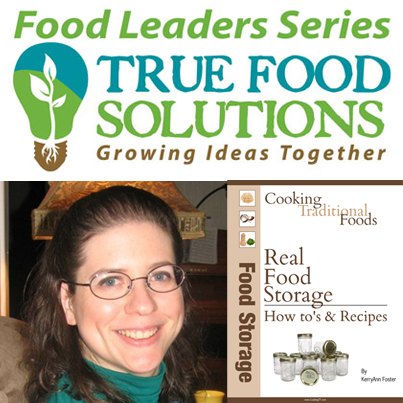 In the Food Leaders Series webinar on January 28, 2013, True Food Solutions Founder Jason Matyas welcomes KerryAnn Foster of Cooking Traditional Foods to discuss how to build up your food storage using real food and how to plan to use it when you need it. She will also provide some helpful insights from her book that covers this topic in detail – Real Food Storage. Registrants will be emailed instructions to login to the webinar. See our Food Leaders Series webinar archive!